Hmmm. How can I follow Julia Donaldson with sage advice on picture books? Obviously I can’t…I know! I’ll use my best diversionary tactic and tell a rude story. Did you know that there’s an old biscuit tin that collectors will pay a great deal of money to get hold of? 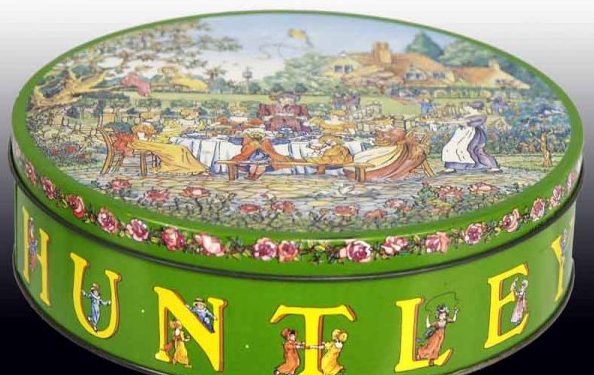 It was made in the 1970s by Huntley and Palmer and it shows a charming Edwardian village scene – except that its designer was so fed up with his fee he sabotaged it and hid several characters in the background doing…ahem…extremely rude things. Inspired by this, my blog today is a blatant attempt to create a lucrative collector’s market for children’s picture books that include embarrassing mistakes. Hey, every little helps these days, and many authors will have lots of old complimentary book copies kicking around the attic. Most of these are likely to be foreign language translations, admittedly, but there might be one or two with a continuity error in them, fit for collectors of dodgy biscuit tins, wonky stamps and the like. These things happen, even in children’s books. My personal examples come from the early 1980s, before computer systems took over the publishing process, making it easier and much cheaper to catch and correct errors before the printing presses rolled. When I got my first job as a tea-making junior editor, a publishing colleague turned out to be so fed up that he’d lost the will to function at his desk. It was down to him to create a Disney board book featuring cartoon ducks Hewey, Dewey and Lewey. Nobody checked his work, so when thousands of the books were printed there was no ending to the story, It finished on an ‘and’. The weirdest thing was that nobody ever wrote in to complain. I expect to see it on the Antiques Roadshow any time soon. On a photographic board book the same employee failed to spot a difficult feature on a photo of a young horse – a very excited young horse, shall we say. We had thick files of complaint letters on that one. By that time the editor in question had left to become a vicar, where I hope he concentrated harder. As a newbie I was put in charge of innumerable colouring and dot-to-dot books, featuring various different licensed characters of the time. Each book had to have a legally correct imprint detailing the copyright owners – large and potentially litigious companies such as Walt Disney or DC Thompson. Printed advances went to these companies to be checked and signed off, and if anything was wrong, costly pulping of many books might follow. Imagine my panic when I accidentally got the copyright details mixed up on a couple of books and it looked as if DC Thompson owned Mickey Mouse and Disney owned Bananaman!The horror! What to do? Luckily the young man responsible for sending out the advances could be taken into my confidence and persuaded to ‘forget’ to send them, so nobody noticed. How much persuading? Well, it’s probably time I gave this blog a little more class and so, as they say in the very best books…Reader, I married him! As an author you can’t control the mistakes of editors or illustrators but you can make sure you don’t start by leaving a gaping continuity hole in your work, by reading through it and getting someone else to read through it before you send it off. Then - and I know this all sounds obvious - but it really is vital to very carefully check any proofs that come back to you, just in case you’ve mentioned somebody who wears a red bowtie and he’s now wearing a blue cravat but nobody has noticed. PS: On a non-picture book note, a company I worked for published a recipe book by a newly-celebrated young chef who went on to become a big celebrity. But somehow or other his quantities weren’t printed accurately and the book recipes were a disaster. Cue more files full of letters and a costly reprint. I’d better not point to his identity in any manner. After all, now we are all in another season… but there are two clues in this paragraph. Once you have solved it, it will be time to go and check your biscuit tins. 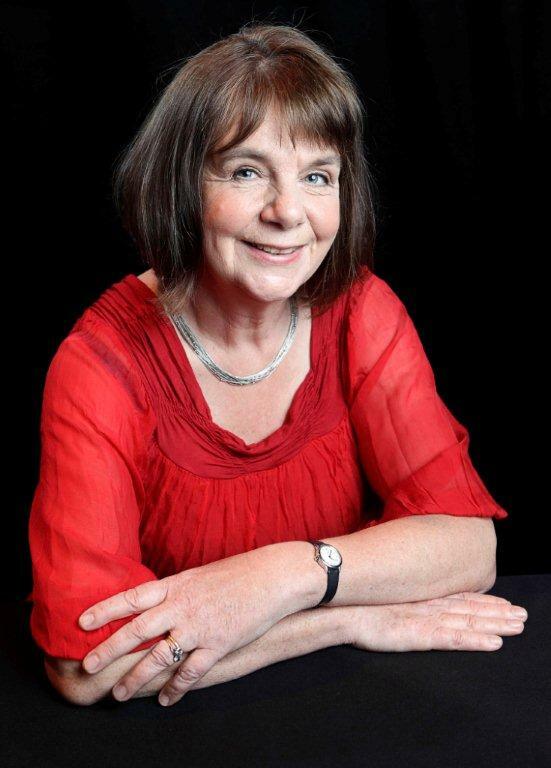 Today we are delighted to welcome Julia Donaldson to the Picture Book Den. 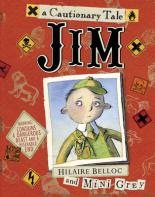 Julia became the Children's Laureate in June 2011. Her wonderful picture books are loved by children and parents all over the world. Her rhythmic and rhyming stories continue to delight time after time. Julia's events are always a lot of fun and here she talks about dramatising her books. I did my first ever author visit eighteen years ago. The idea of “talking about my books” to a class of seven-year-olds was a bit daunting, so I decided to act out A Squash and a Squeeze (my first book). It was easy. I just got the children in a circle, with two of them lifting their arms to form an arch, then chose four animals and a wise old man to stand outside the circle while I, as the little old lady, stayed in the middle. Some of the children in the circle were the curtains and some were the food, and they all joined in the chorus. I’ve never since then managed to write a picture book which is quite so easy to dramatise as A Squash and a Squeeze. But I keep trying, and I now have a room in my house devoted to props and costumes. Children acting out my poem "Nut Tree"
I do recommend drama as a tool for any author visiting a school or library. The children love joining in, and it means they don’t have to sit on their bottoms for the whole session. It’s surprising how many picture books can be acted by a whole class – even ones with only two main characters. Pam Wardell, a drama expert based in Edinburgh, does a wonderful production of Brian Wildsmith’s version of The Sun and the Wind. The class is divided up into different groups, such as Garden, and Sea. When the sun shines the plants in the garden grow, and when the wind blows the boats at sea (represented by hats) are tossed and buffeted. 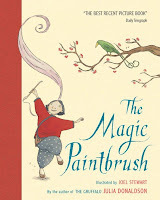 One of my own favourites to act out is The Magic Paintbrush, based on a traditional Chinese tale. 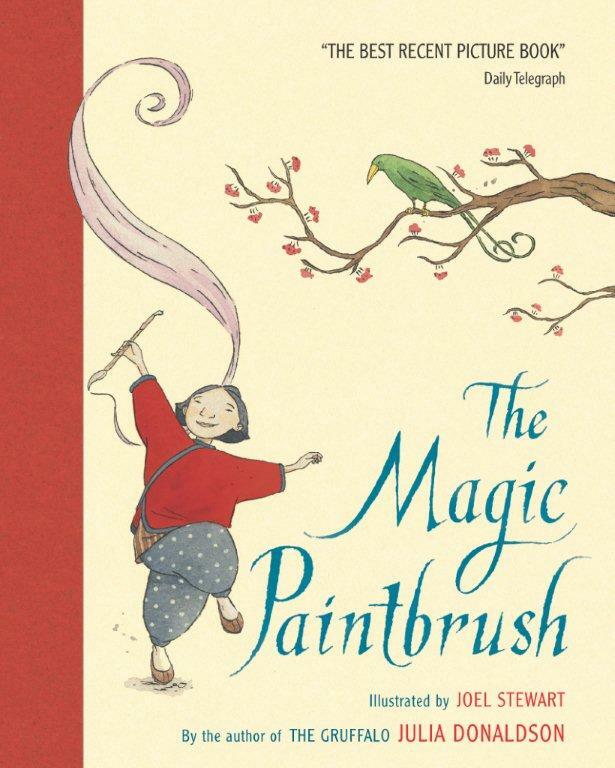 Everything that a little girl paints becomes real, but she’s only allowed to paint for the poor, so when the greedy emperor demands a tree of coins she has a problem. but they also enjoy being divided up into horrible henchmen (or women) and innocent villagers. 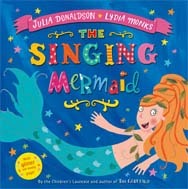 I am still, however, wrestling with the problem of how to stage my newest book, The Singing Mermaid (due out in April 2012, with illustrations by Lydia Monks). In this story a mermaid is lured to the circus but misses the sea. Her escape is thwarted until an acrobat teaches her to walk on her hands. Tricky! I don’t think many infant classes contain two children who can do this. So I’m going to meet Kim and Symon from the Edinburgh Puppet Lab to see if they can make me a puppet mermaid. Meanwhile, any suggestions gratefully received. I love to play with words. “We shall fight on the beaches, we shall fight on the landing grounds, we shall fight in the fields and in the streets, we shall fight in the hills; we shall never surrender." As you may have guessed this post is about repetition, which is one of the three R's authors often use in their work. The other two are rhyme and rhythm. "Fear leads to anger. Anger leads to hate. Hate leads to suffering." As you can see by repeating words and mixing them with similar words the rhythm conveys the noises being made by Boris and Dog’s stomachs. So don't be afraid to repeat yourself, it may just help you hook your reader. When I started writing picture books I became part of the playful, sometimes moving, and often surreal world of talking animals. Using animals as characters came naturally to me. I was brought up on Beatrix Potter and, when my sons were young, creations like Jill Murphy's Large family were part of our family too. But on a recent school visit, I was asked 'why do you use animal characters so often?' It made me stop to think, so I asked the same question to some other picture book writers who use animal characters. Animal characters allow the author a lot of freedom. And picture book writers like using animal characters because publishers like them, too. The answer I gave on my school visit? I told the children that I’m fascinated by animals – and love any excuse to research them. I said how much fun I have creating the worlds they live in and the games they play and explained how I get enormous pleasure turning my family into animals to exaggerate my story– including dancing dinosaurs, a walrus who doesn’t like going to the dentist, a little elephant with a big temper and a great white shark who say he isn’t scared of anything (but is). It is fascinating to see just how wide a spectrum the term 'picture book' can cover. It can be a board book. This is one of our family favourites that has stood the test of time. 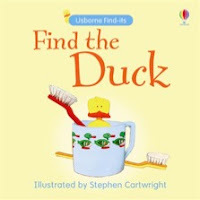 It is a series by Stephen Cartwright where the child has to find a different creature (Duck, Bird, Puppy etc) in each book. In the original version there were no words in it at all, but in later additions a few words were added to each page. The simple familiar illustrations which are not too fussy, make this an easy book to read with babies and very young children. I think I prefer the older version with no words at all and the discussion of the picture is something that makes sharing it with a child all the more fun. is a lovely introduction for very young children and the thick board pages make it easier for little fingers to learn how to turn pages, without destroying the book in the process. Probably what we think of most frequently, when we say picture book, is the familiar large format book for small children, where the pictures take up a lot of the space on the page. This is where picture books come into their own as the images help to tell the story allowing the writer to cut out any unnecessary words and hone the story so that it flows and has rhythm. 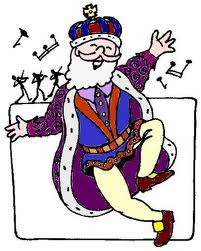 The text may look deceptively simple and will often involve repetition, and sometimes rhyme. Picture books for young children are designed to be read out loud. But for many people reading out loud is not something they have had much opportunity or occasion to do, quite often not since they themselves were novice readers at school. For some parents it can be a new and at times daunting experience. But for the child the flow of the story is so much more important than the performance or any little mistakes the parent makes. One of the joys of reading picture books is how inventive they can be and how even quite young children can understand layers in the story. 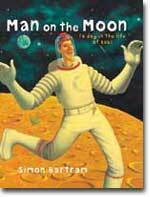 One great example of this is Man on the Moon by Simon Bartram. Bob does his normal job every day - clearing up the moon after the tourists have left - and he laughs at the idea that there might be such a thing as aliens. The delightful thing is that behind him on the moon and even on the bus he takes home back on earth the reader can see little aliens are everywhere but Bob hasn't noticed them. Of course the children see the joke right away. Another book I discovered recently is Baby Pie by Tom MacRae and Nick Ward. 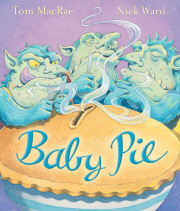 Three little trolls Oink, Boink and Moink are looking for a baby for their baby pie. But of course the trolls are... well I won't spoil it for you - just to say that the baby ends up smiling and the trolls get more than they bargained for! A delightful story, the twist at the end and repetition makes it fun to join in. 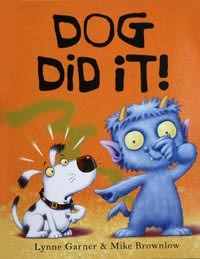 where the story is much longer but the illustrations still take up around 50% of the book. 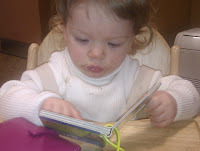 As children get older they still delight in being read to but may be able to read it themselves. Some stories are not written for one particular age group. We all love a good story and stories such as the tale of Greyfriars Bobby, that faithful little dog who slept every night on his master's grave for many years, delight old and young alike. 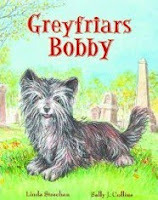 Growing up in Edinburgh the statue of Bobby was a familiar landmark so when I was asked to write a version of Greyfriars Bobby I was delighted. It was great to be working once again with illustrator Sally J. Collins, whose images capture scenes of Edinburgh beautifully. 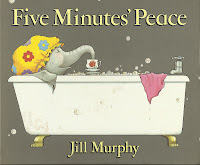 I often come across children of 8 and 9 who feel they are too old for a picture book and understandably they are still asserting their right to be moving on from picture books, which can be seen as a sort of rite of passage. But I think it is a pity that we tend to think that picture books are only for young children (although if you look for them, there are a few that are quite scary and definitely for older children and adults). 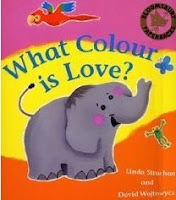 Do you have a favourite picture book? Labels: Greyfriars Bobby, Linda Strachan, Nick Ward, Sally J Collins, Simon Bartram, Stephen Cartwright, Tom MacRae, What Colour is Love?